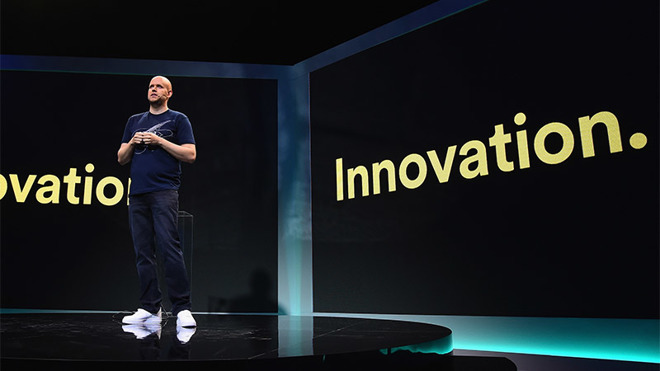 Spotify on Wednesday announced the purchase of Brooklyn-based startup Mediachain Labs, a company which developed technology that can help the streaming music giant better track online content and reward owners with royalty payments. In a press release posted to Spotify's webpage —and oddly removed —the firm plans to leverage Mediachain's technology to help further its "journey toward a more fair, transparent and rewarding music industry for creators and rights owners," VentureBeat reported earlier today. Terms of the deal were not immediately available, though the startup had raised some $1.5 million from a variety of investors including Andreessen Horowitz and Union Square Ventures, according to CrunchBase. Mediachain developed a clutch of technologies for registering, identifying, tracking and managing creative works across the internet, valuable assets for streaming companies looking to properly mete out royalties to rightful content owners. Specifically, the firm specialized in applying blockchain technology to embed timestamps and ownership metadata in media files. Before being purchased by Spotify, Mediachain created a decentralized, peer-to-peer protocol and database for connecting applications with media, an attribution engine and a cryptocurrency for royalties, reports TechCrunch. Spotify is expected to use Mediachain assets to avoid potential licensing disputes, an ongoing problem for many streaming music services. Spotify itself is no stranger to lawsuits stemming from improper media attribution or a failure to pay songwriters and publishers for their work. For example, Spotify in 2015 was slapped with a $150 million suit for allegedly failing to pay license holders. In a more recent case, Spotify reached a $30 million settlement with the National Music Publishers' Association over unpaid royalties. For its part, Spotify contends a lack of sufficient ownership data made it difficult to pay out licensing fees to the proper parties. Today's Mediachain purchase is expected to help solve some of those problems. Music royalties are a major consideration for any streaming platform, especially as streaming entities take on increasingly important roles in the distribution process. A recent report from the Recording Industry Association of America said streaming services like Spotify and Apple Music acted as primary industry drivers in 2016, helping U.S. retail revenue grow 11.4 percent to hit $7.7 billion. The gains were the industry's largest since 1998. According to the RIAA, Apple Music paid out the highest royalties to music creators at about $12 per 1,000 streams, followed by Spotify's roughly $8. Free and ad-supported platforms like YouTube trailed far behind.